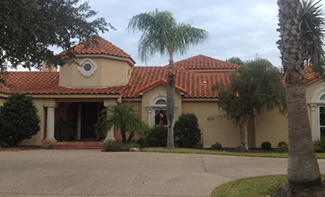 Serving Corpus Christi and the surrounding area for over 22 years, Ramos Roofing has gained a reputation as the premier choice for commercial and residential roofing services. 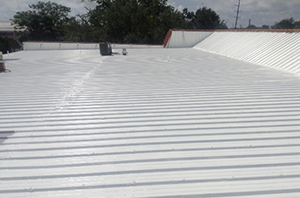 We specialize in flat roofs and provide composition re-roofing and repairs, tile and metal repairs, modified systems, and roof coatings for both commercial and residential structures. Ramos Roofing is fully insured company and provides Warranties and Windstorm Certificates. Your home is obviously the biggest and most important purchase you'll make in your lifetime. It makes perfect sense to ensure your home is secure, safe, and long-lasting. Having a properly installed roof is an essential piece of this equation. Whether you are making improvements or need repairs done on a current roof, Ramos Roofing provides professional, affordable services. We offer free in-home estimates and provide services for houses, apartment buildings, condos, and any other type of residential property. For commercial entities, the flat roof is probably the most popular surface. As a a result of its low slope, problems such as water ponding can occur. We specialize and understand the different issues posed by flat roofing systems. We've mastered the methods needed to tackle this issue, as well as perfected precise installation and commercial roof repair techniques. Call us and get a free estimate on repair, installation, waterproofing and coatings for your flat roof. © 2014 Ramos Roofing Co.